The most difficult thing about being positive is STAYING positive. It's easy to get positive all of a sudden and say a bunch of positive things. But it's when that mood dies down and your life isn't looking exactly how you like, that's where we tend to fall off. I know this because I experience this all the time. We are all visual human beings so if we don't see something, we don't believe it. The hardest part is actually believing in something we don't see and sticking to it. Believing the notion that if we continue to stay on the frequency of knowing that we want is already ours is the key to getting it to happen. What we talk about we bring about, and what we believe in will come true; consciously and subconsciously. We have to make sure that once we make a statement about what we want, we HAVE to stick to it. This also means that our faith HAS to stick to it. You have to believe that it's going to happen in order for it to actually happen. No contradicting. Sometimes we just have to catch ourselves before we continue causing anymore damage. Start off your morning positive, set your intention for the day. Say it's going to be a great day and then go out and have a good day. 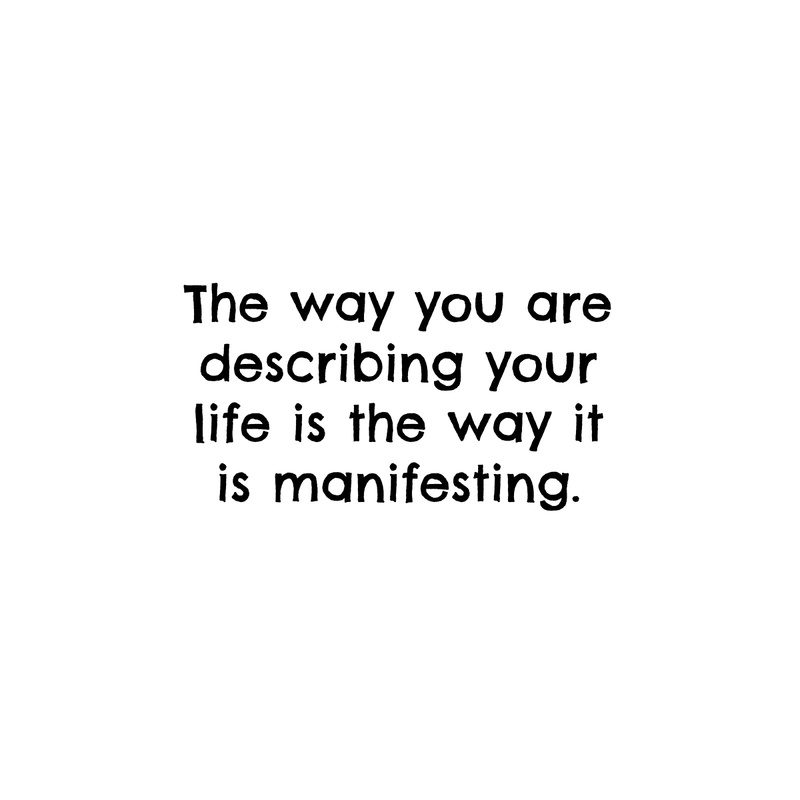 The way that you talk about yourself and your life is what you're welcoming into it. So, are you saying good things or are you continuously focusing on the the little things that could eventually go right? 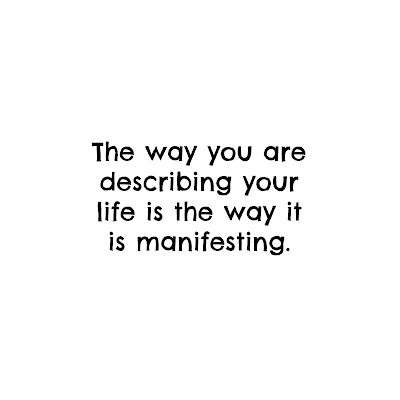 Describe your life to others the way you want it to go. Don't focus on the negatives! Say what you want to happen and actually believe it. Even though it's tough, even though you need proof, just believe that it will. It's our job to describe what we want and focus on getting it and it's the Universe's job to figure out the how it'll happen. All you have to do is believe and speak it into existence. I promise you that it works. Now tell me again, how is your life going?